In 1997 our family drove out west for six weeks in the summer and it was an experience we will never forget. Glacier National Park in Montana will forever be one of our favorite places because of the beautiful mountains, clear blue water, wildlife, and wilderness solitude. “Going to the Sun Road” was open but the snow along the side of the road was higher than our heads. The road was very narrow and cut into steep cliffs and more like a trail than a road. Mountain goats greeted us and grizzly bears were sighted on a mountain slope. Our July 4th picnic along Lake McDonald ended with locally made wild huckleberry ice cream. 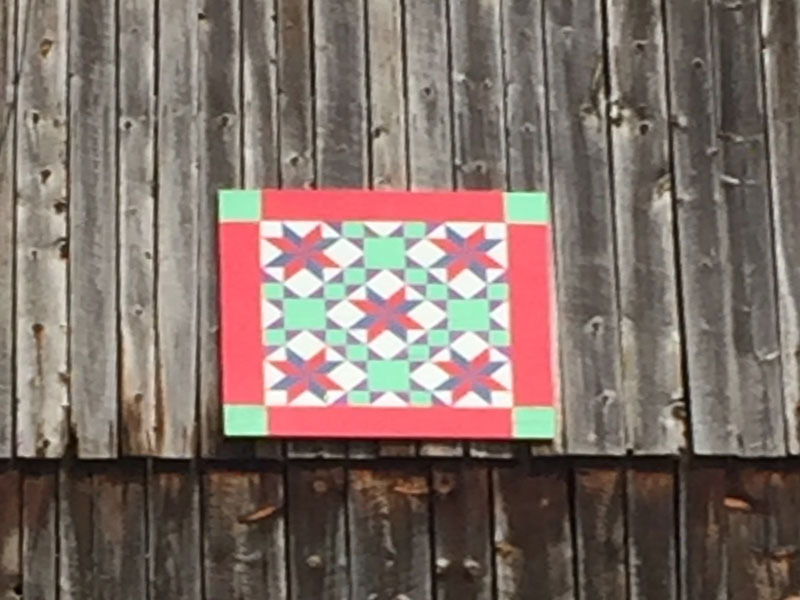 We named our barn quilt, Trail to Montana, with fond memories of this trip.